Many law firms believe that if they don’t have an endless reservoir of funds to devote to a marketing budget, that they just can’t make that first page of Google search results. This is not true. Search engine optimization (SEO) strategy is all about staying one step ahead of your competition, and exhaustively studying the latest trends (or hiring someone who does). Many marketing firms rest on their laurels. 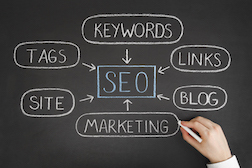 But SEO strategy is a science that is constantly evolving. Your marketing team needs to chase these developments relentlessly. Geographic targeting (a.k.a. “geotargeting”) is a marketing strategy designed to help law firms reach a local prospective client base. If a marketing firm tries to sell you on the success of its geo-targeting program, and you are solely a mass torts practice, you should probably think twice. Geo-targeting tends to work much better for practice areas like personal injury—practice areas that draw on one-off, single event incidents, like a car accident or a slip-and-fall. It has become common for law firms to think of SEO marketers as selling snake oil—so many marketing companies have sprung up making false promises, taking millions of dollars and failing to deliver on their word. But there is still a place for SEO—search engines are quickly learning how to spot quality content and drive those pages that offer it to the top. This way, the users of the search engine remain satisfied. If your search engine pulls up pages and pages of useless, keyword infused garbage, you are going to switch search engines. That is not what the search engines want. They want to put the page users are actually looking for right up top. Is Legal Billboard Advertising Dead? 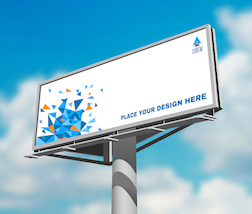 There are some definite advantages to billboard advertising, but also, a lot of risks. Firms are advised to weigh the pros and cons carefully, because this definitely is not a strategy that will benefit most law firms. Some of the pitfalls of billboard advertising are explored in the popular television program, “Better Call Saul.” Lawyers (like Saul Goodman) run the risk of getting a reputation as a “billboard lawyer” who tries to settle every case, whether it is to his client’s advantage or not. In short, a gimmicky billboard can reflect adversely on one’s lawyering abilities. Also called cost per click, this is an online advertising model where law firms pay a hosting service every time their ad is clicked on. The most common and most successful form of this is where a search engine serves as the platform. 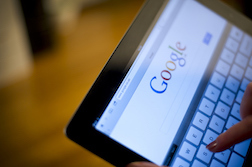 With search engines, law firms can bid on keyword phrases relevant to their target market. For example, the keyword phrase “best new york divorce lawyers” will probably cost you a pretty penny, because it is likely to be a highly searched phrase. 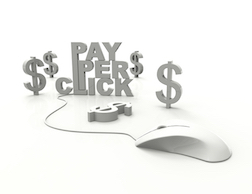 With PPC, you only pay for visitors that actually click on the link to your website.